Potty training takes a royal spin with the Fisher Price Royal stepstool potty that “grows” with your child. Train your child with 4 different tunes that reward and encourage a success bathroom trip. The moment your child’s pee hits the potty, music will instantly start playing – making potty training all the more fun. 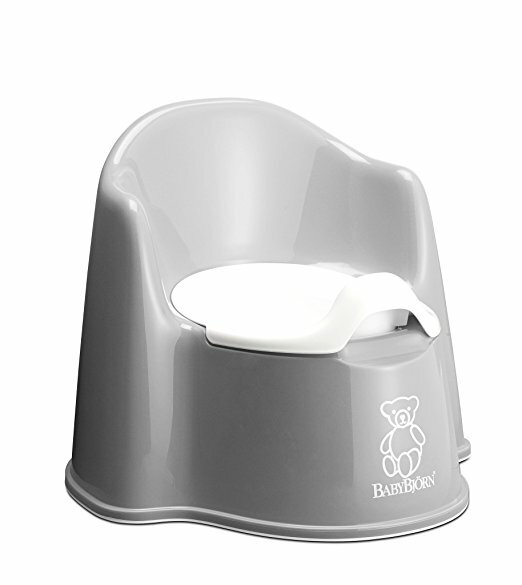 With a removable potty ring, older kids can still use it as a stool to help them get on and off the toilet with ease. The handles help toddlers feel secure and comfortable on the potty. The lid offers multiple uses as it works as a sort of backrest when used or it can be converted into a step stool that can hold about 200 pounds. This multi-functional 3-in-1 chair can be used in various ways! When the child pees, the sensor detects it immediately and rewards the success with 4 royal tunes. We like the child must use the potty in order to hear music as opposed to other potty trainers that play music when you flush. Additionally, you can take the music box if you don’t want it as it also has an on and off switch. Just be sure to dry the bowl well enough as it may run for hours. Just with most potty trainers, the pee is easy to clean while the poop can be a little messy. I always make sure to clean the bowl every time with hot water. The removable bowl provides an easy clean up with a deflector shield included. It also comes with an integrated splash guard specially made for boys. The royal stepstool potty includes a deflector shield along with removable legs for easy storage. It does require 3 AA alkaline batteries with a battery life of up to 25 hours. Batteries sold separately. Yes! Fisher price has a blue royal version for boys and a pink princess potty for girls. This makes personalization all the better for encouraging the child. How tall is the potty chair? The potty chair is about 12-13 inches high. This makes it ideal for smaller children. The royal potty chair works best for younger children learning to use the potty and needs encouragement to build confidence in potty training. Toddlers are often terrified by the prospect of potty training this royal step stool potty will provide that extra needed encouragement. This singing potty comes with a decent price tag and may encourage your toddler to succeed at potty training. We love the magic music sensor that knows when to reward your child with a royal tune. In addition to the praise from mom and dad, children can build confidence with a special tune every time they use the potty. 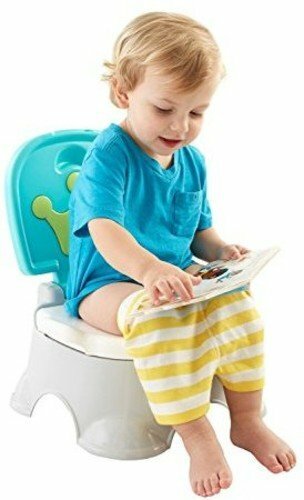 Previous ArticleCommon Potty Training Errors and How To Avoid Them.